Thanks for reaching out, I’m glad I can help with early planning! What do you have in mind of [the product] and what will you need? Also can you please verify which media outlet(s) this would be for. And, I’m thinking, “You just emailed me. Don’t you know what it’s for, and you told me why it’s being sent out? Would you happen to have a media kit or something that indicated your monthly traffic? Okay, I’m thinking… I’m trying to get some work done, here. I agreed, I gave you what you could have seen in my footer, now you want my back end, for free advertising? DONE! This is not about you. Do not take this personally, please. You’re just doing your job, and bless your heart, it’s not easy to query people and finding the right people. I, too, have to do the same, as a wine publicist. What I do do, that’s different, is that I know who I’m querying first. Your client needs to know that they need to pay you to create your database, before asking if someone is interested. I don’t give out the info you’re asking for. 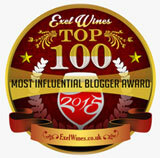 I’ve been blogging since 2002, the first wine PR female in the world [to do so]. 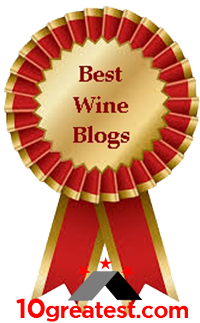 I’ve been in wine PR for 25 years. Before that I photographed rock and roll stars (Tina Turner, Huey Lewis, Duran Duran, etc.) I have credibility, plenty of it. If your client needs numbers, don’t worry. I have tons to write about… backed up by a couple of months. So, let’s just let it go. But, get them to give you money for your time to do intense research, so you can hit home runs all day long. The most important thing, for me, is that your company came to me, I didn’t come to it. Let your client know that they’ve got the process backwards. This has nothing to do with you. You’re just doing your job. Your client and/or boss, however, needs to get better with messaging. 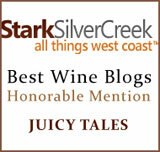 This actually makes for a great blog story, since my blog is my wine journal as a wine publicist and wine blogger. 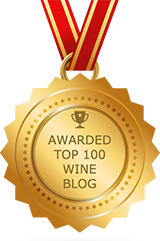 I won’t name names, but I have plenty of wine blogging colleagues who will chime in on this issue, since it happens to them, too, and it’s insulting. Again… nothing to do with you, and everything to do with companies who put the cart before the horse. Bless your heart. Sorry that you have to be the recipient of their practices. AMEN! As usual you nail it. You make the hard point while maintaining poise and heart. Cheers! Thanks, Alissa. It was a hard lesson for someone, I know, when the truth is written or spoken. We always learn from those lessons, though. I didn’t know any other way to address this backwards issue. They’re frequent and just wrong. So, now it’s out there, and I hope her agency takes it to heart. They would never have taken her advice. Now, it’s not on her, it’s I who spoke up. They’ll never query me again; but, when they query you, they’ll be on pointe, hopefully. Let’s hope they get the message because I think many of us have had a similar experience… the only one that gets me when they want a guaranteed review– well, I’ll do my best to respect the product — and what if I don’t like it? PS Did you get a response to this? Nope… not a word. Someone on Facebook brought up that this person was complicit. I agree. I’ve gotten “real” with a lot of people querying me. And, they thank me for taking time to enrich their knowledge base. This company… nothing. When those people do get back to me, I take it a step further to help them, because they’re honest individuals. Good for all of us. It needs to be out there, Michelle. This is a very disrespectful tactic. I just said what had to be said. Really puzzling that they wouldn’t have the most basic recollection of you, your blog or the fact that they initiated the contact. Great response. The fact that she didn’t respond indicates either she is simply unprofessional or she got caught doing something she can’t justify. Either way, no loss for you.